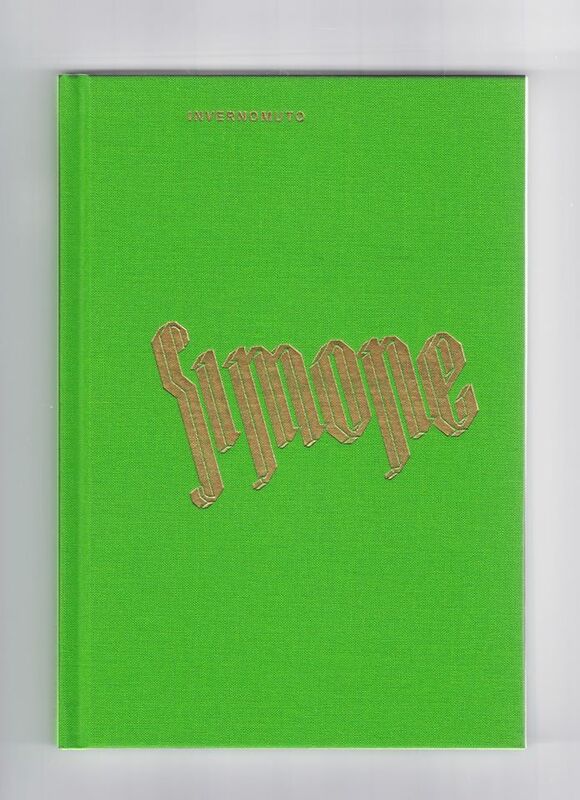 Simone is a book compiled by Invernomuto, an Italian duo of artists who have been working together for almost a decade, to offer personal perspective and insight on what it means to experience first-hand the collapse of systems, disciplines and the reinvention of fiction. 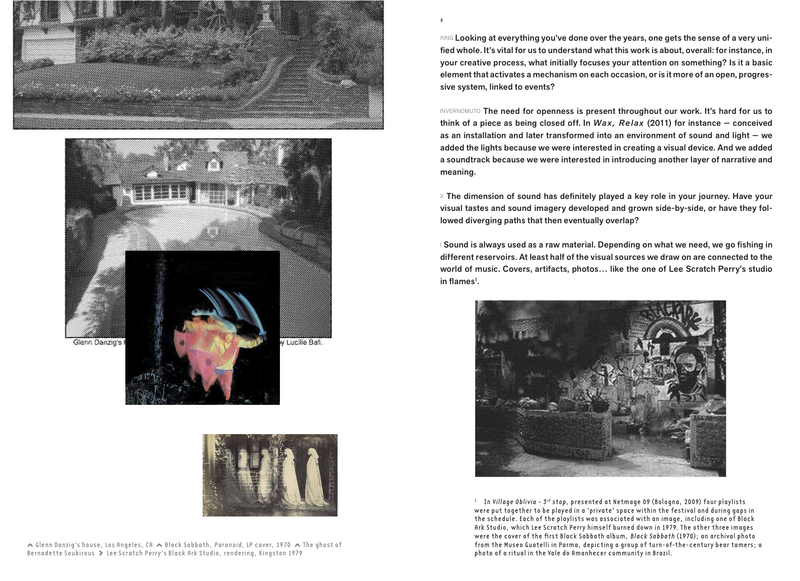 Strictly linked to the world of contemporary art and its rippling transformation, the atypical book revisits the glorious tradition of artistic tomes. 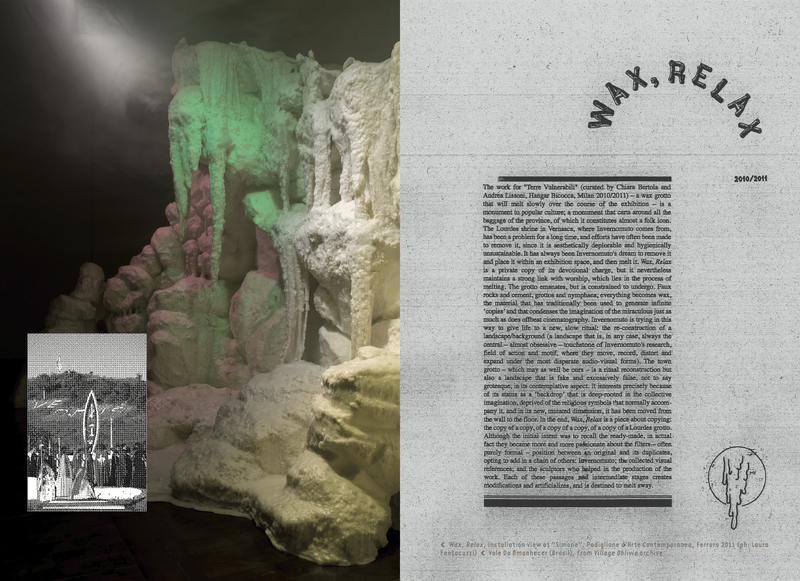 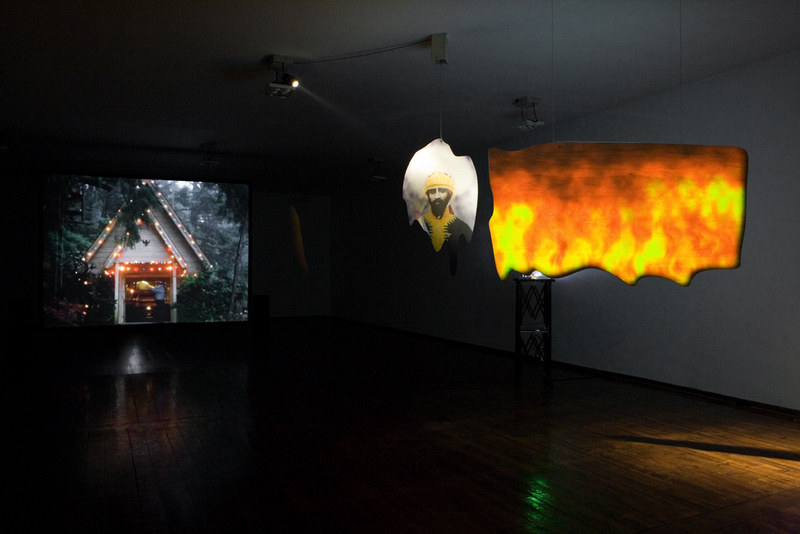 Edited by Xing and published by Mousse, with the support of Fondazione Furla, it was presented at the Museo del Novecento in Milan accompanied by a retrospective of all the film and video work created by Invernomuto from 2007 to 2012.